Guidelines for becoming a paperclipperer for halloween. Epic commitment – make fortune cookies with paperclips in them. The possibilities are endless. Epic: paperclip tattoo on the heart. Slightly less epic, draw paperclips on yourself. While at the party, use the pliers and wire to make paperclips. When people are not watching, try to attach them to objects around the house (example, on light fittings, on the toilet paper roll, under the soap. When people are watching you – try to give them to people to wear. Also wear them on the edges of your clothing. When people ask about it, offer to teach them to make paperclips. Exclaim that it’s really fun! Be confused, bewildered or distant when you insist you can’t explain why. Remember that paperclipping is a compulsion and has no reason. However that it’s very important. “you can stop any time” but after a few minutes you get fidgety and pull out a new pair of pliers and some wire to make some more paperclips. Try to leave paperclips where they can be found the next day or the next week. cutlery drawers, in the fridge, on the windowsills. And generally around the place. The more home made paperclips the better. Try to get faster at making paperclips, try to encourage competitions in making paperclips. Are spiral galaxies actually just really big paperclips? 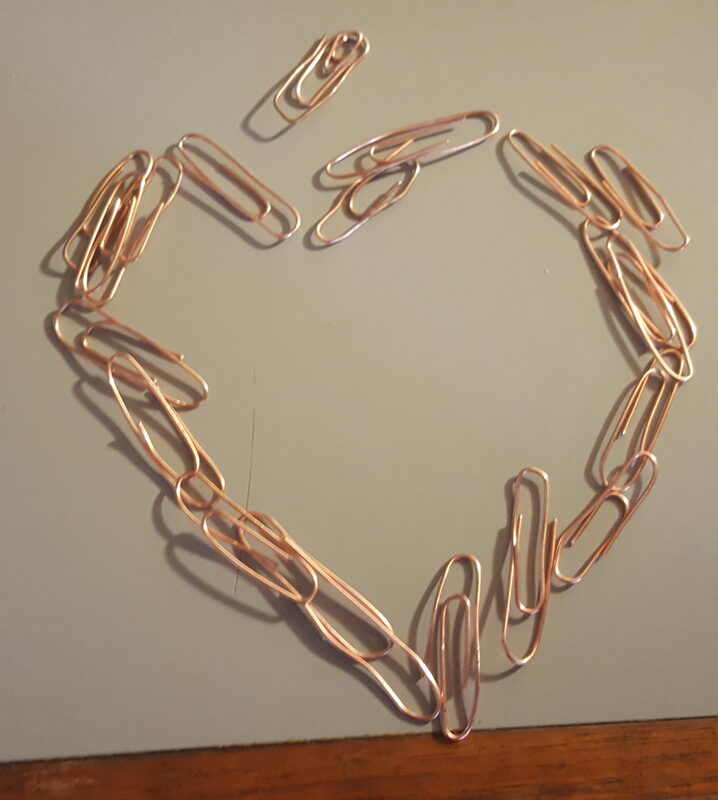 Have you heard the good word of our lord and saviour paperclips? Would you like some paperclips in your tea? How many paperclips would you sell your internal organs for? The better you are at the character, the more likely someone might try to spoil your character by getting in your way, stealing your props, taking your paperclips. The more you are okay with it, the better. ideas like, “that’s okay, there will be more paperclips”. This is also why you might be good to have a few pairs of pliers and wire. Also know when to quit the battles and walk away. This whole thing is about having fun. Have fun! Meta: chances are that other people who also read this will not be the paperclipper for halloween. Which means that you can do it without fear that your friends will copy. Feel free to share pictures! This entry was posted in lesswrong. Bookmark the permalink.